I do enjoy finding these old cardboard boxes, and the fact that somebody has had the use of them for fifty years or so. I imagine very few will survive from our era as everyone either throws them away or they get repulped to be made into new boxes. This box was made of cardboard called Fiberite, and the card surface is finely printed with a sort of wood grain design to emulate the wooden packing cases which went before. 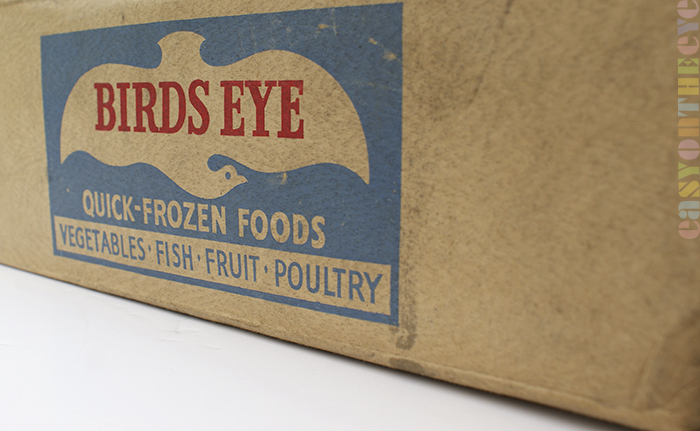 The company then overprinted the particular graphics for whichever firm they were supplying, in this case Birds Eye, the frozen food company (24 packets of Steaklets in case you wondered.) The cardboard is flat, but thanks to some clever folding and grooves on the edges, remarkably strong. Fiberite was a trade-mark of the Thames Board Mills, based in Purfleet [and Warrington], who operated at least from 1920 and were still going until 2013. 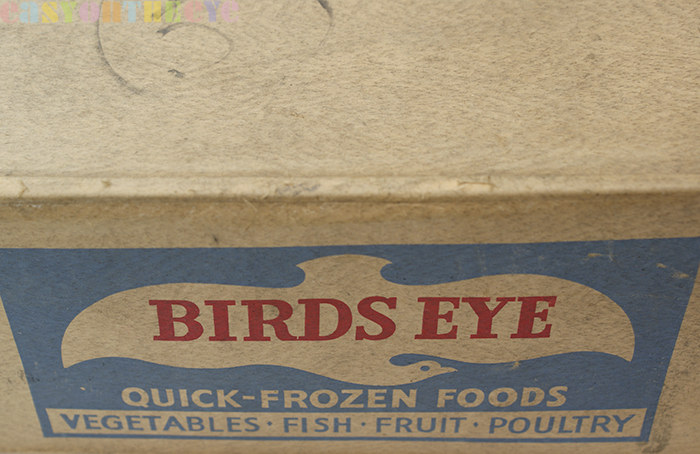 I suspect this box dates from the early 1950s.